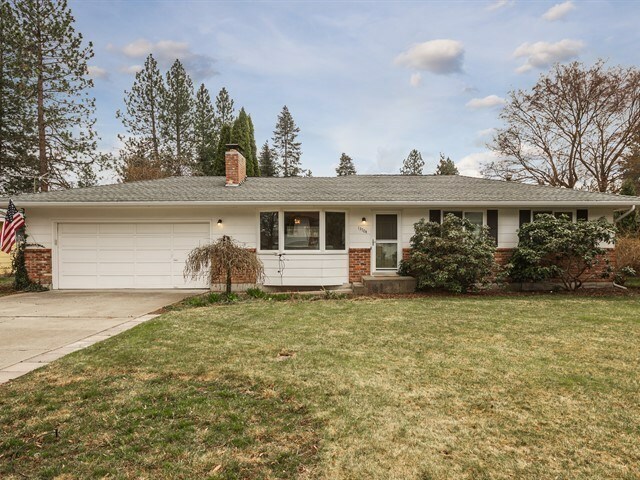 13704 E 27th Ave, Spokane Valley, WA.| MLS# 201914106 | Cooper Realty Services (509) 599-1111 | Spokane WA Real Estate | Contact us to request more information about our Homes for Sale in the Spokane WA area. This Charming Spokane Valley Rancher won&apos;t last long. This home has been remodeled with new windows, a/c, granite countertops, sprinkler system, open floor plan, Giant extra room in Basement, wood burning fireplace on main floor. The backyard comes to life in the summer offering large shade tree, Berry bushes and fully fenced.